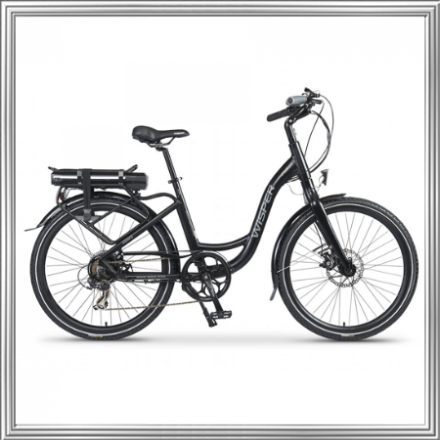 The Iconic Wisper brand has been synonymous with high quality, innovative electric bikes for over a decade, Wisper was one of the first British designed electric bikes ever to come onto the UK market. Wisper electric bikes have the reputation of being slightly ahead of the pack utilising the very latest in electric bike technology. In June 2015 we launched three amazing new bikes, the Wisper 905 Torque, Wisper 705 Torque and the superb 29″ Wisper 929 Torque trail bike. All three bikes benefit from new powerful, almost silent motors controlled by the latest and most innovative torque and speed sensor on the market. The new system will give you instant access to masses of hill climbing power from the moment you start to ride. Simply push down on the pedal and the bike will reward you with a silent surge of hill climbing torque, the harder you push down on the pedals the more the motor will assist. When the bike reaches cruising speed the power will gradually ease back and when power is not needed at all, such as when descending hills, it will cut off completely giving you up to 40% extra range when compared to other speed sensor bikes. The big difference between torque sensor and normal speed or cadence sensor bikes is that a torque sensor gives you instant access to power, whereas a basic speed sensor only works after you have started turning the pedals. So if you are starting on a hill this means you need to get going before you get any assistance. The new Wisper 705, 805 and 905 36V 575Wh batteries have a deep sleep mode and benefit from a Remote Controlled Service System, helping us to ensure the battery gives you many years of tip top service. as standard with a 2 year battery, 5 year Bicycle frame warranty. Standard Long Range 375Wh 3kg. Samsung Mega Range 575Wh 4kg with Remote Control Service System (RCSS). Deep sleep mode. Helps protect battery during times of non-use. High efficiency, 250W ultra hi torque 50Nm brushless rear wheel drive. Hybrid Torque drive system designed to deliver maximum power to the rear wheel smoothly, quietly and efficiently.